Our whole school assembly this morning was very exciting! A representative of Stoke City Football Club came into school to talk to the pupils about the City 7 scheme run by the club. 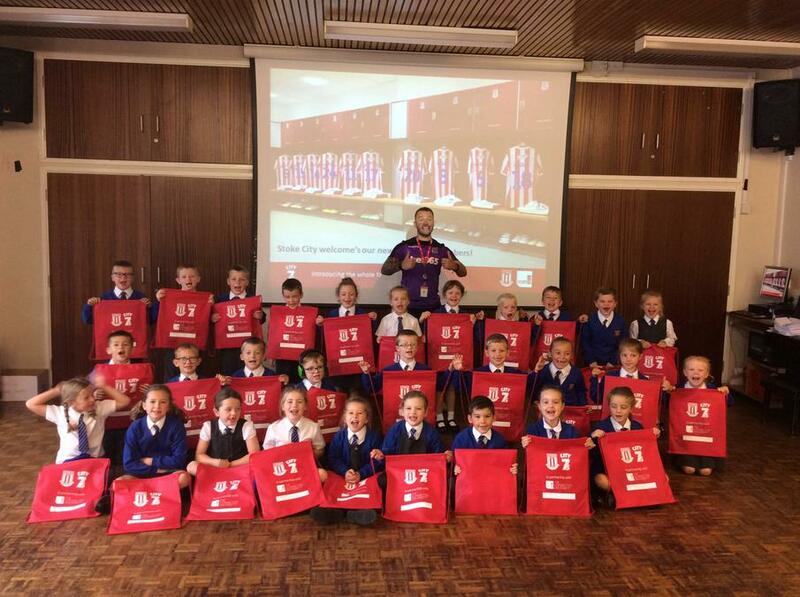 All of Year 2 were presented with a goody bag containing a free club shirt, a certificate and 2 tickets to the upcoming match vs Blackburn Rovers on 22nd September! All other pupils have received a letter about obtaining reduced price tickets for the same match.